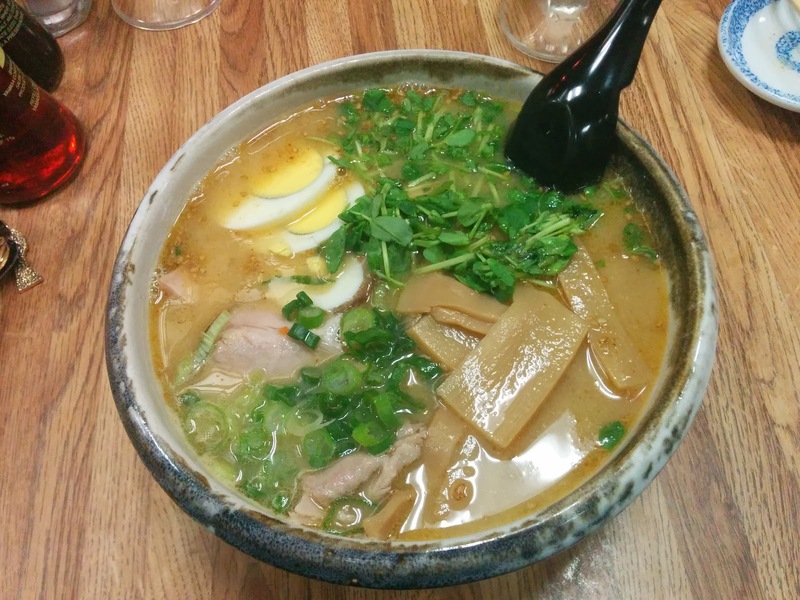 The hunt for the ideal ramen place in San Francisco continues; having moved to Japantown some months ago we've been slowly hunting for the right combination of great soups and noodles. Sapporo-ya is definitely a contender for my best ramen place in the area. 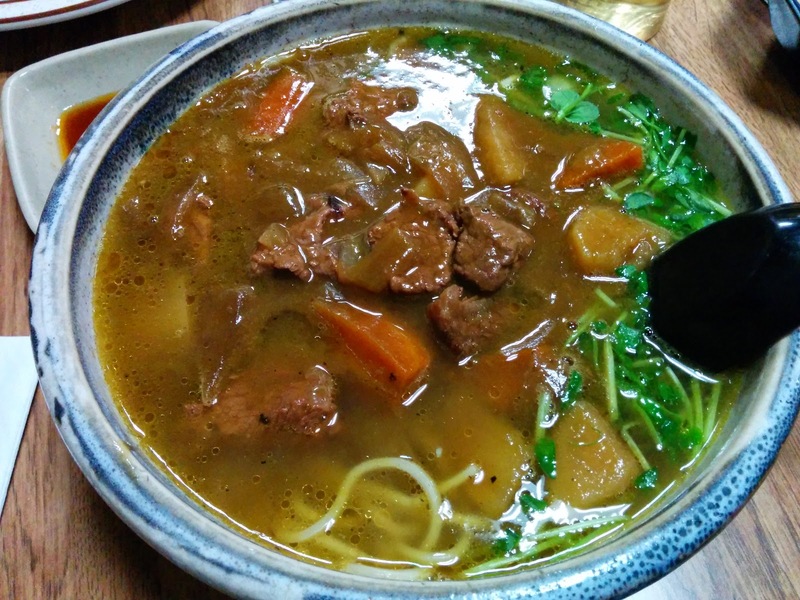 Moving to San Francisco from Sydney means that I was amazed and disappointed how many mediocre noodle joints there are when San Francisco has a reputation as a city with good Asian food. 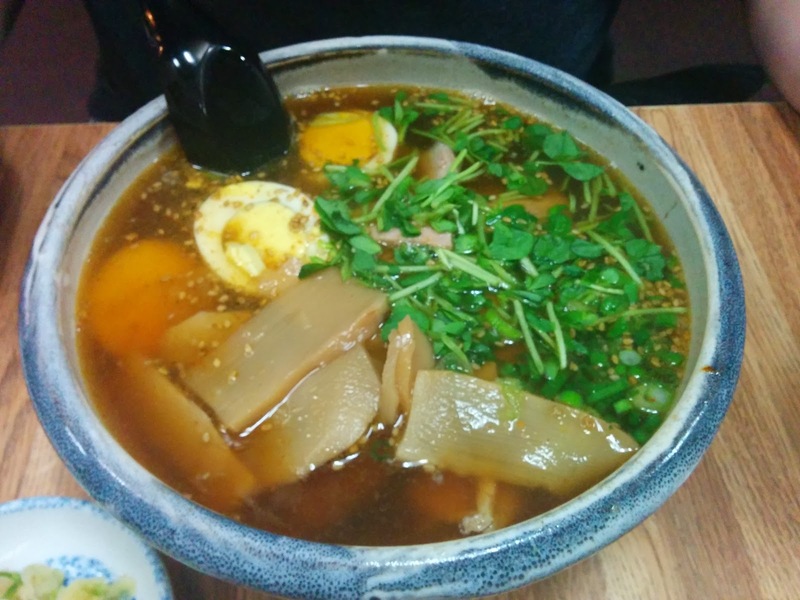 In particular we had been craving and craving hand pulled noodles and failed to find them over and over again. 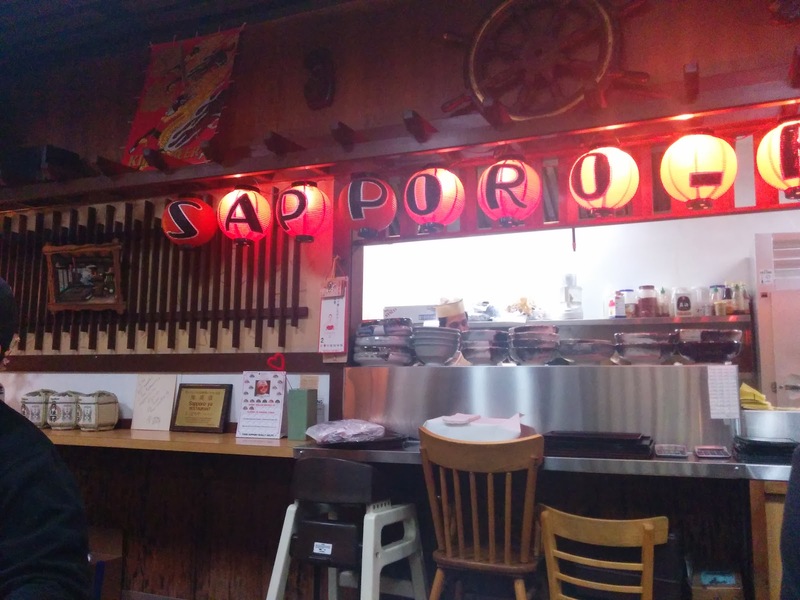 Sapporo-ya finally hit home with the right chewy fresh morish noodles we were after. 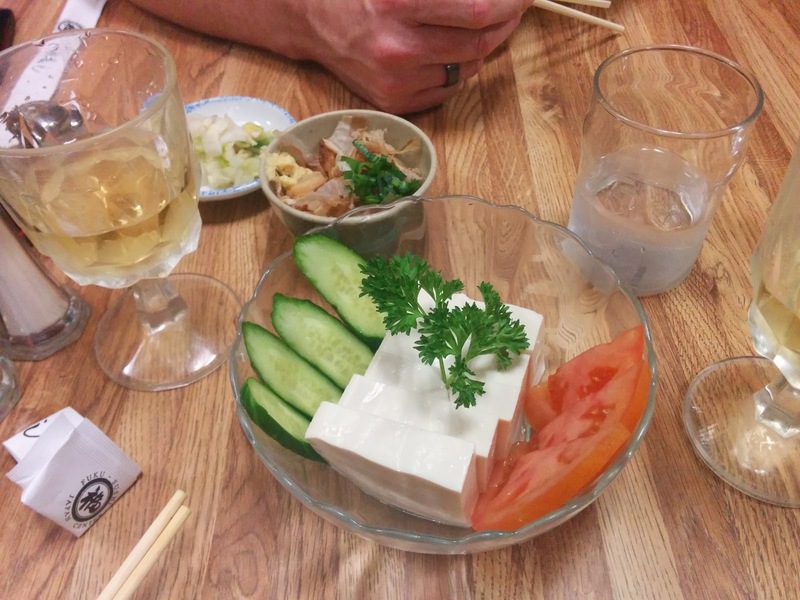 The tofu here is good but bought in, but they serve it with plenty of sides. A great light alternative to dumplings. Lots of good additions here, vegetables, tofu and eggs. You can add additional toppings like corn, butter, pork and more for around $1 a topping. Probably my favourite of their offerings the spicy miso soup is heart and delicious with a lot more substance than the other broths. It would have been better with more collagen but nonetheless is excellent and served with fantastic rolled roasted pork. The service can be a bit haphazard but no worse than any other noodle joint I've been too. The decor is a little quaint; reminds me of cheap eateries in the back alleys of Osaka. The miso broth is definitely the best here, I would have liked a chilli-sesame broth on the menu but all the soups have been decent and the noodles top notch. Unfortunately they hard boil their eggs which is a bit sad, but their bamboo is fresh and delicious so that makes up forit!